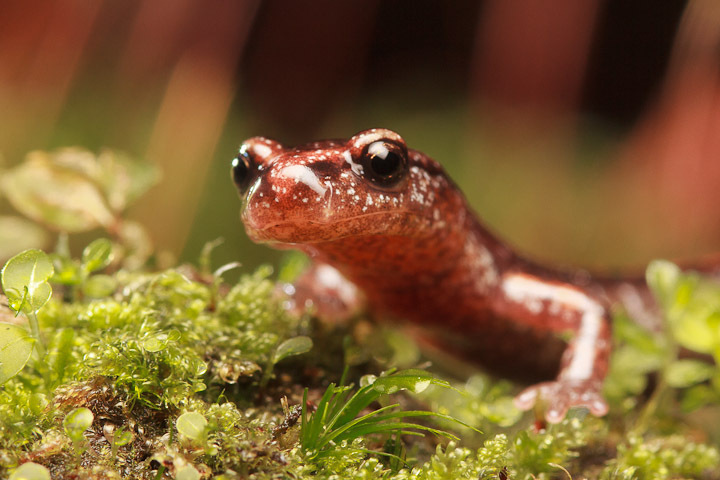 The Plethodontidae, or lungless salmanders, are a remarkable successful group of Northern Hemisphere amphibians. Unlike many other amphibians, these animals have direct development in the egg, and have freed themselves from the need for an aquatic larval stage. 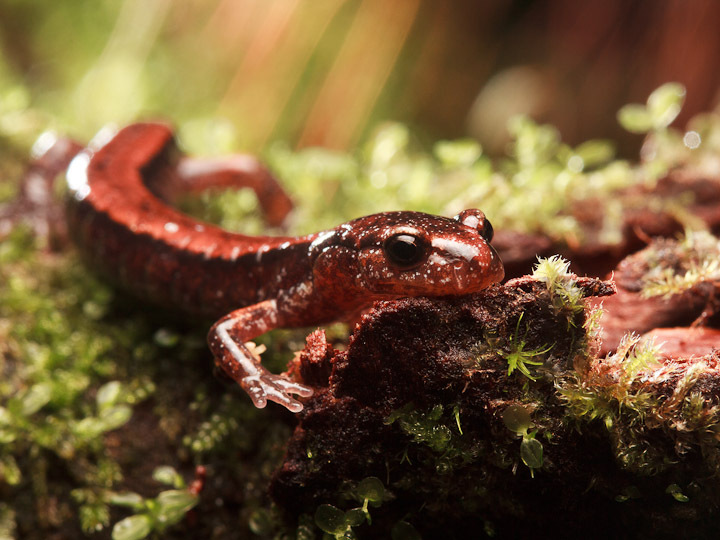 They are abundant and easy to find in the forests of coastal BC, where we have two very common species, the ensatina (Ensatina eschscholtzii) and the western redbacked salamander (Plethodon vehiculum). After a remarkable unproductive photographic outing this Sunday, I decided to try for a portrait session with a pretty organism I was sure of finding. 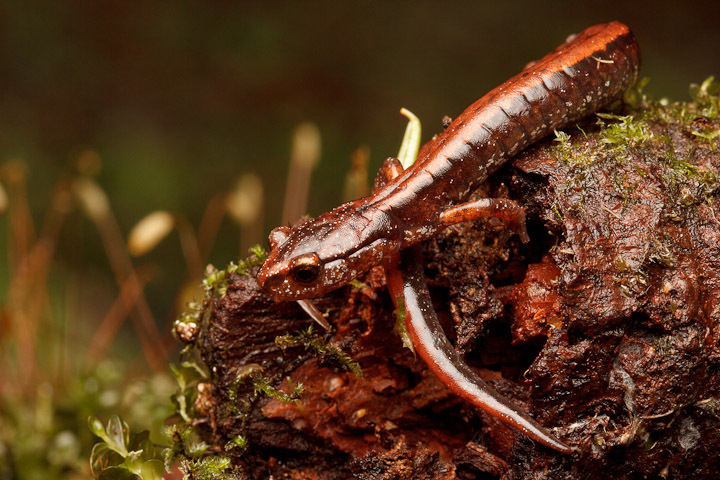 I turned over rotted logs in the forest of Stanley Park, and the first plethodontid I found was a Plethodon. Here are the resulting shots. Cute little feller. Is this with the Monster Rig? And what’s with the opening photo’s “Vehiculum Manslaughter”? I dunno! 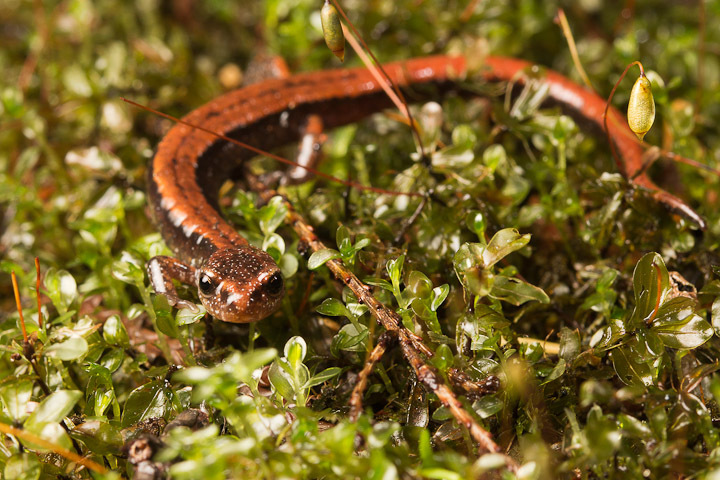 The name of the salamander is Plethodon vehiculum, so I figured it would be a good name for a band. The shot is with the diffuser of the rig, but some of them have hard lights placed separately.